150' on GULL LAKE. Enjoy your morning coffee accompanied by sunrises over main Gull Lake. 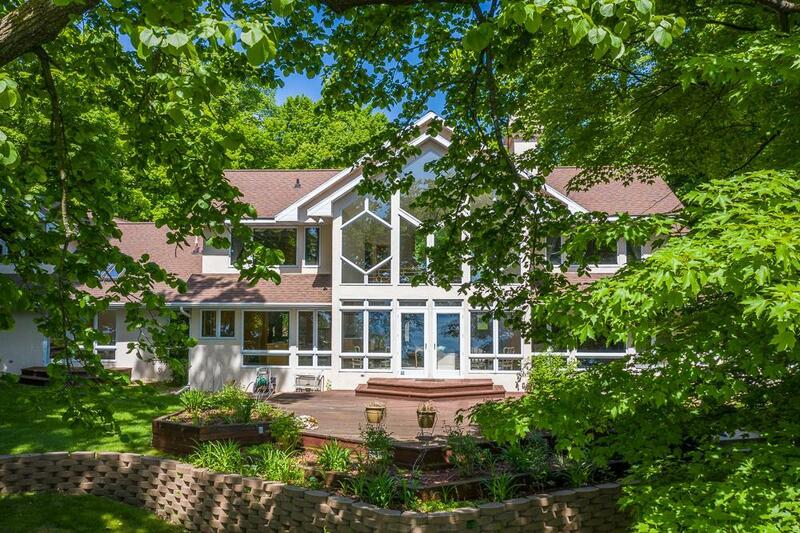 Exquisite 5 Bedroom, 4 bath home with 2 master suites, 3 story boathouse at the water's edge, ideal elevation with sand bottom, large East facing deck, guest cottage, the list goes on and on. The home features both formal and informal living and dining areas plus plenty of additional space for rec room or man cave in the unfinished lower level. This is being sold mostly furnished-unique opportunity. Positive Realty is the brokerage office representing the seller for this listing.